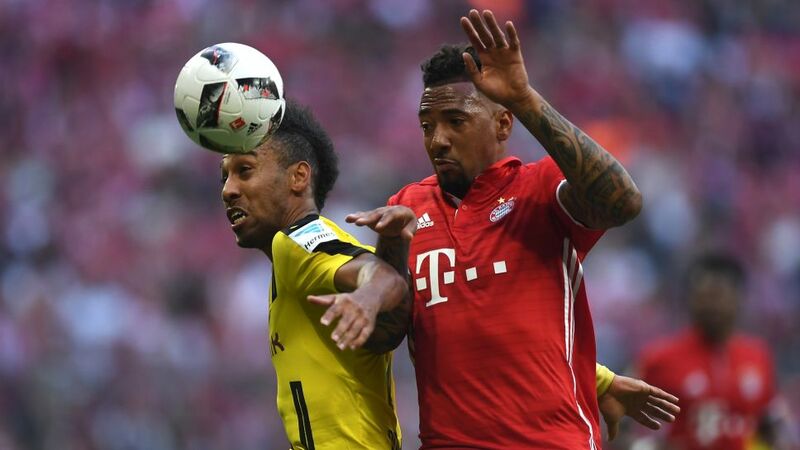 Jerome Boateng will miss Bayern Munich’s Matchday 29 clash with Bayer Leverkusen with an adductor problem, head coach Carlo Ancelotti has confirmed. Already robbed of the services of injured Mats Hummels, Ancelotti will be forced to field a makeshift defence at the BayArena on Saturday, with David Alaba set to slot in at centre back alongside Javi Martinez. "Jerome won’t be able to play [in Leverkusen] but we hope he will be fit for the [Champions League quarter-final] second leg against Real Madrid," the 57-year-old told the assembled press at Friday’s press conference. "Alaba will play in central defence, [Juan] Bernat will play at left back. "It doesn’t really matter who takes to the pitch tomorrow, though," added the Italian tactician. "I know my players. We will play with quality and character." Meanwhile, Robert Lewandowski could also return to action at the Estadio Santiago Bernabeu next week, having missed Wednesday’s first-leg defeat to Real with a shoulder injury. The Bundesliga’s top scorer will sit out the Leverkusen game through suspension, but Ancelotti has a "good feeling" the Poland international will be fit for Tuesday’s return leg in Madrid.